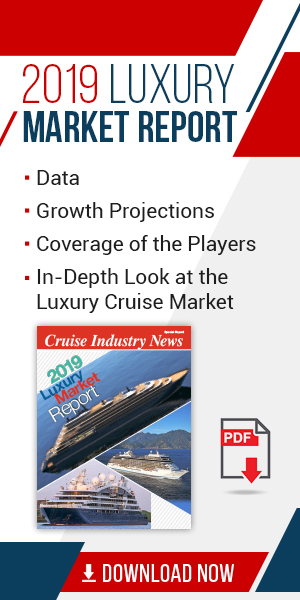 Regent Seven Seas Cruises today announced it is nearly doubling internet bandwidth size across its fleet by January 2020. Guests will begin to benefit from bandwidth expansion starting April 2019, the company said. The company is also adding free unlimited valet laundry service for guests sailing in Master and Grand Suites. All guests who sail in a Master Suite or Grand Suite on the cruise line’s ships will enjoy the added benefit of free unlimited valet laundry service starting in April 2019.